And the reason I titled it this was is due to my limited computer skills and it will appear bass ackwards as it has before. These are the brothers. 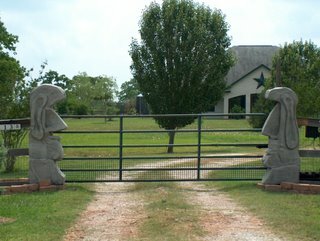 The Gate Keepers. The protectors of all that need protecting. I guess I need to get a life and start doing yard work instead of artwork, but I couldn't resist. Thank God I don't live in a subdivision. 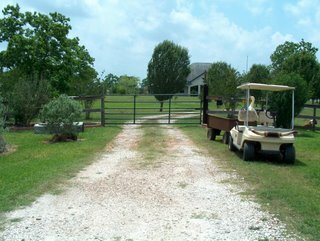 I think they would boot me out due to deed restrictions,lol. Well I guess when I give directions to the compound now people won't drive passed it. Thought they wouldn't have done that with a camel in the yard either, but hey, it's Alvin. Anyway hope y'all enjoy.Workouts are still on and the eats are good! Later! I really need to see your place .. it looks and sounds absolutely incredible Troy. I can only imagine the amount of work it takes. So what do you sleep ? maybe 2-3 hours a day ?? lol. Very nice, Troy, but please don't move into my subdivision! I thought I saw the Cowboys star. Being a former Rams fan, I, too, find the star very offensive. Could you edit the picture and re-post?!?!?!? just kidding. Hey Troy, nice place! I'm out near Bonham, out in the country too. FOr some reason it reminds me of a like "Dallas" or one of those kind of shows, just so "Texas". Duh, I know, but I'm just sayin'. Your guardians are so cool! 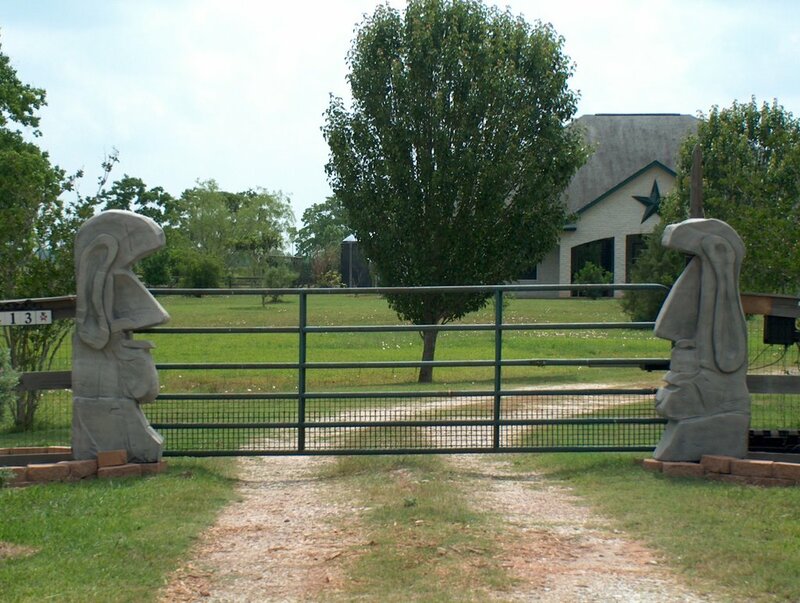 Wow - you have a real talent with those stone heads! i think i missed the post where you explained the stone heads. are the solid stone? extremely heavy? did they start out as a slab of rock and you whittled away? pretty impressive. good job with your workouts! Hey, where'd ya go, cowboy? Hope everything is going well Troy. We've got a homework assignment for you, upon your return ... see posts titled "25".